For as long as I can remember I have not liked my hair. I have very thick, very wavy/sometimes curly hair. It has a mind of its own and I've never really known what to do with it. I don't think I ever even did my hair until I got to junior high - the ages when everyone is unhappy with how they look. Everyone I knew had super long, very straight hair. Naturally, because my hair was a curly mess, I would go to town trying to get it pin straight with my hand-me-down flat iron. This trend stayed through high school. I had a short bob that did not work with my natural curl. It wasn't until college that I started to embrace my hair more. Not because I stopped caring, but because South Carolina humidity is absolutely insane and there is little I can do to protect my hair from it. I'm always looking for products that will help me manage my hair. These three products have been my go-tos lately to keep my hair nice, clean, and curly. 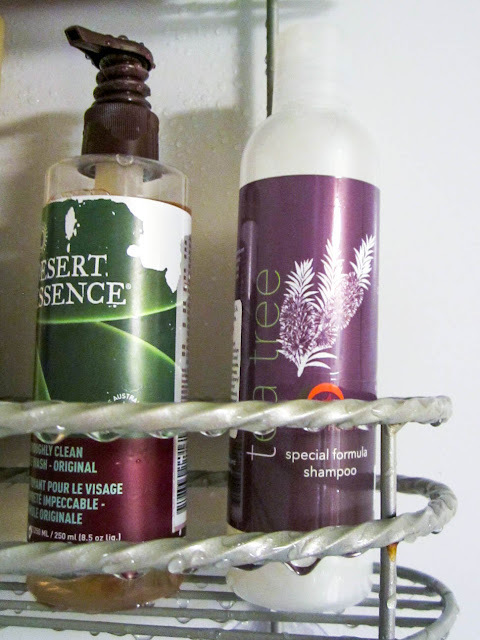 My hair routine starts with shampooing. About a month ago, Maple Holistics reached out to me and offered to send me a bottle of their tea tree oil shampoo. I switched to natural skin care earlier this year, so I jumped at the chance to try a natural shampoo. I've been trying out the shampoo for the past few weeks and really love it. 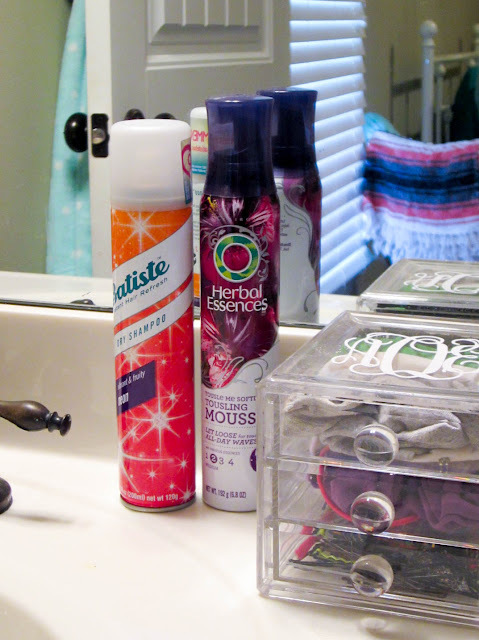 As you can see from one of my other favorite products, I use dry shampoo often between washes. This tea tree shampoo is one of the only things I've tried that really makes my hair feel clean and removes any product build up. I typically shower and wash my hair at night and go to bed with my hair damp. When I wake up, my hair is soo curly. I highly recommend this shampoo! Especially because it has a great price point. If you're interested, you can try product samples for free! Can you even go through college without dry shampoo? I don't think so. 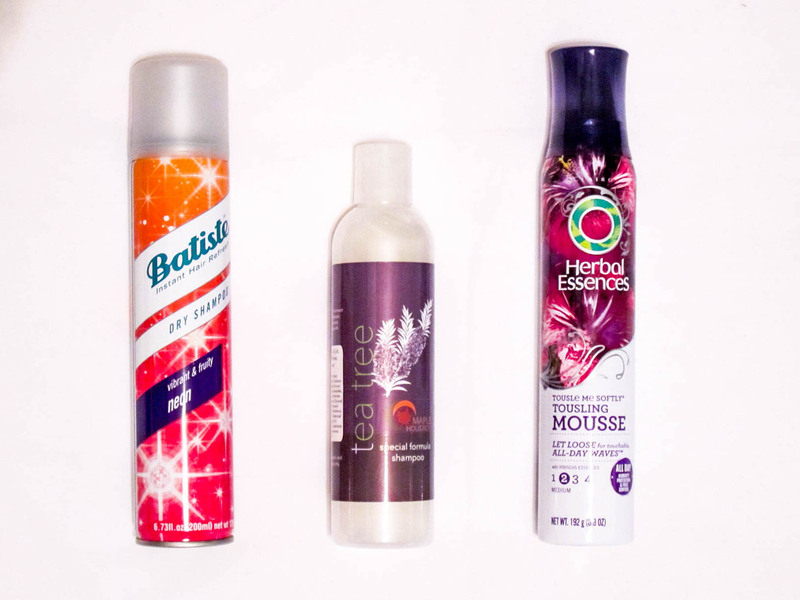 Batiste has been my favorite brand for a while now. I typically switch scents every time I get a new bottle, but they all work the same in my opinion. My only problem is that because I have dark hair, some times the white powder is very hard to rub in. This mousse is my newest product to manage my curls. On days where I do shower in the morning, I'll put a dollop of this mousse into my hair when it's damp then use the diffuser attachment for my hair dryer. The combination mimics how my hair drys naturally and I really like it. What are some of your favorite hair products? Do you have anything that helps manage your hair, I would love to hear about it?